You will love every inch of this property. Two acres, two concrete drives..one to the house and one back to the 40' x 50' outbuilding that is an absolute dream for anyone with a passion for cars, tractors, woodworking, repairing “anything”. The most perfect “get a way” ever for a person wanting a workshop, storage building or a giant get a way. 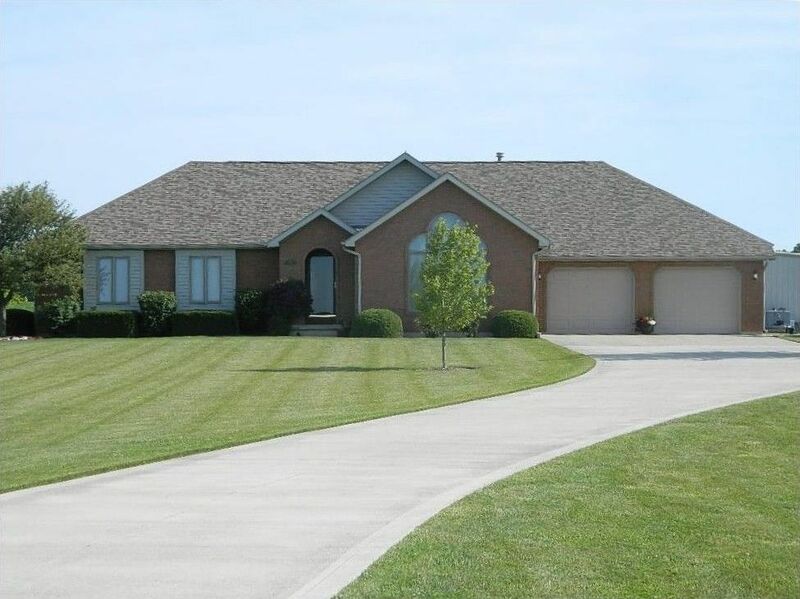 The full brick home features a great room, open living floor plan, 3 bedrooms, 2-1/2 baths, fully equipped kitchen, nice dining area and a first floor utility room plus a full basement with a rec room, a separate work out room, large storage room and the separate furnace and utility room. The inground pool is a huge bonus and easy to maintain and easy to enjoy. Directions: St. Rt. 29 north to east on Sharp Rd. or Co. Rd. 25A north to west on Sharp Rd.